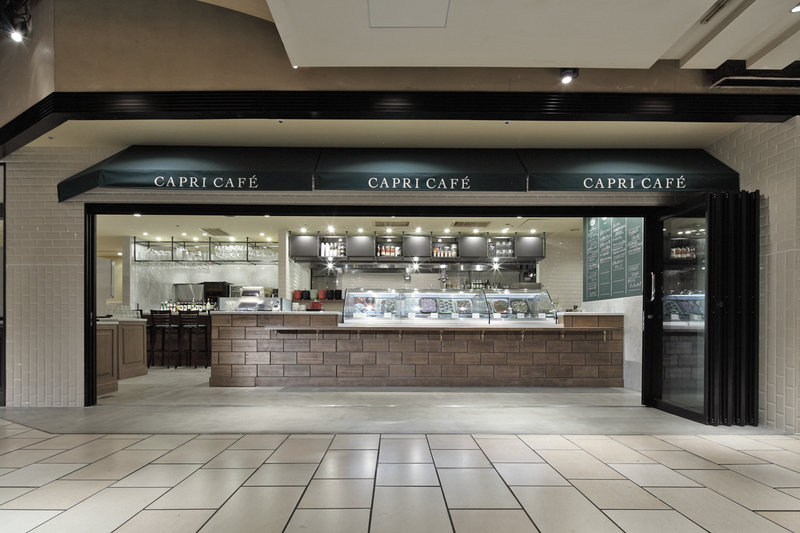 Italian restaurant chain “Capricciosa” opened “Capri Cafe", a deli-style cafe, in May 2013 at a basement of Roppongi Hills North Tower. 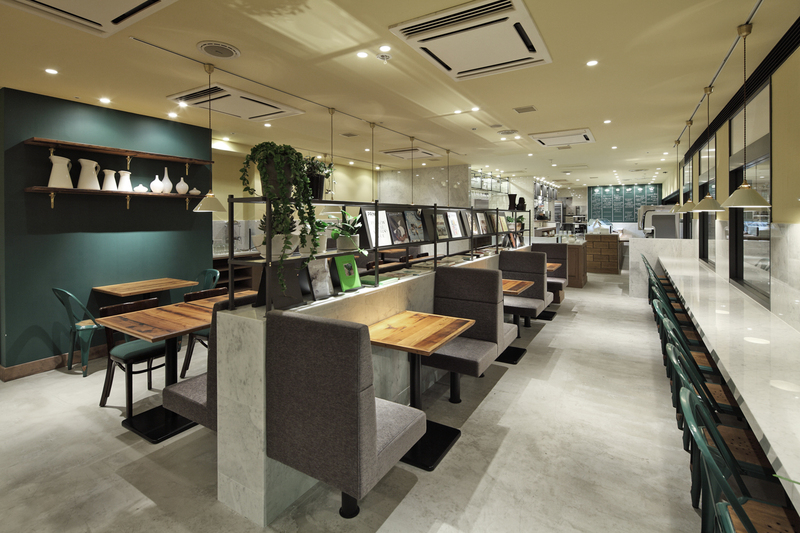 The space was previously occupied their main brand "Capricciosa" restaurant and enjoys a high volume of passing foot traffic due to its location along a route connecting the Roppongi Hills complex to the nearby subway station. 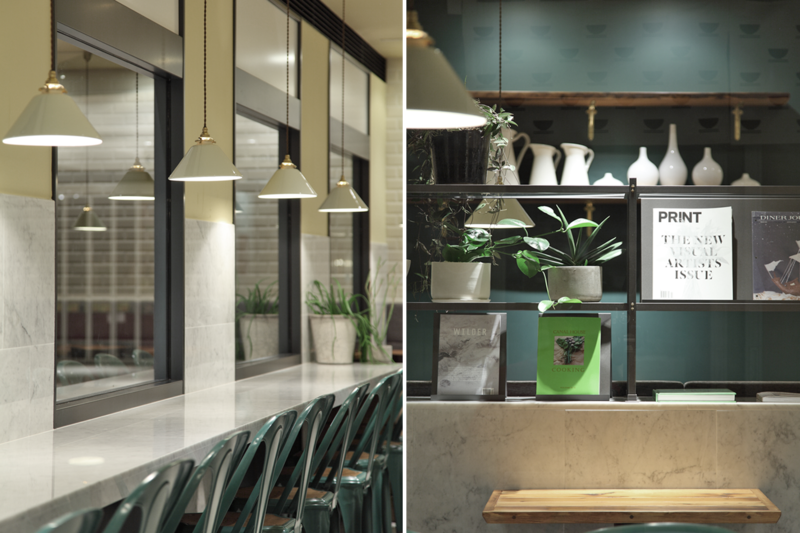 As the cafe aims to attract urban office workers who have a strong sense of authenticity, Jamo’s design focuses on a color palette derived from Italian buildings. The first step was to create a color chart using Google Maps’ street view function to check the main streets and hidden lanes of Florence. In addition to researching the colors themselves, Jamo determined the ratio at which traditional yellow and grey plaster walls appeared and used that as a guideline to determine how much of each color to use in the ceiling, banquettes, and other fixtures. 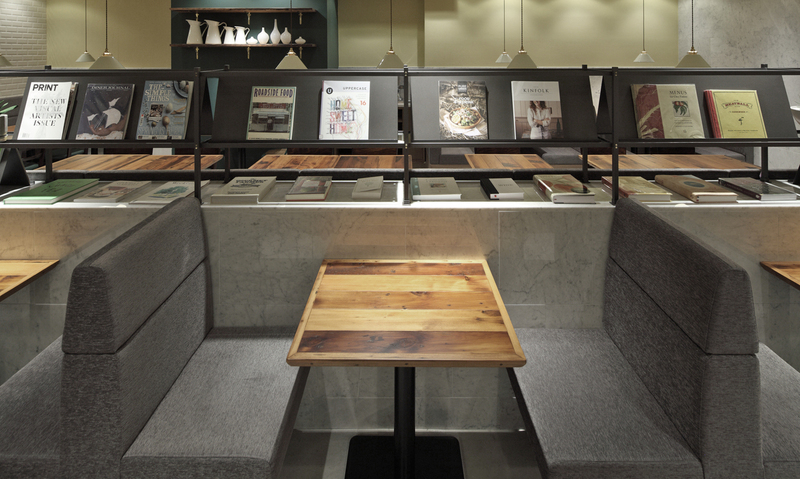 In this way the space becomes a faithful recreation of traditional Italian coloring but also a current update by applying the colors to contemporary materials. 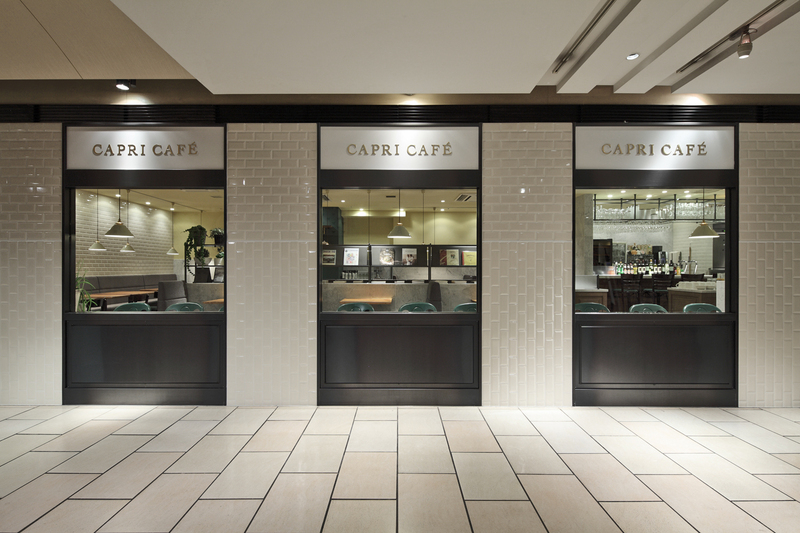 In treating the exterior: windows are given architectural facade-like details to draw customers in from the corridor; wall finishing continues the attention to color with pasta-colored subway tiles.